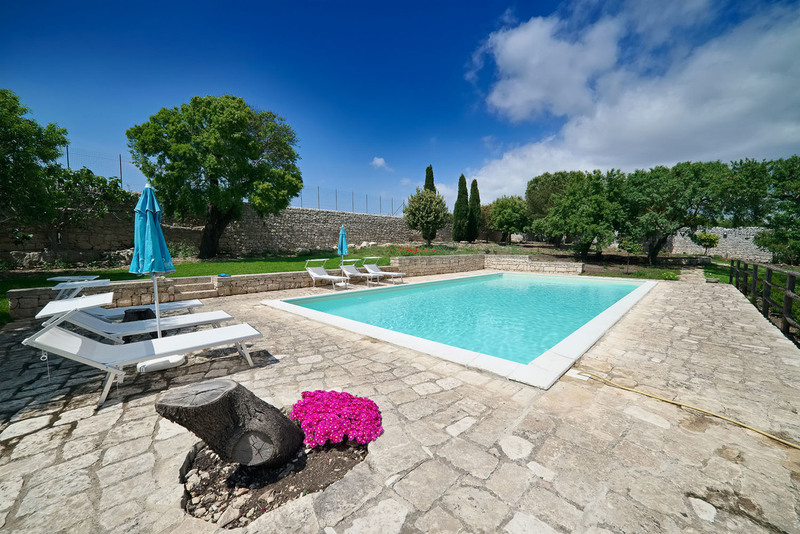 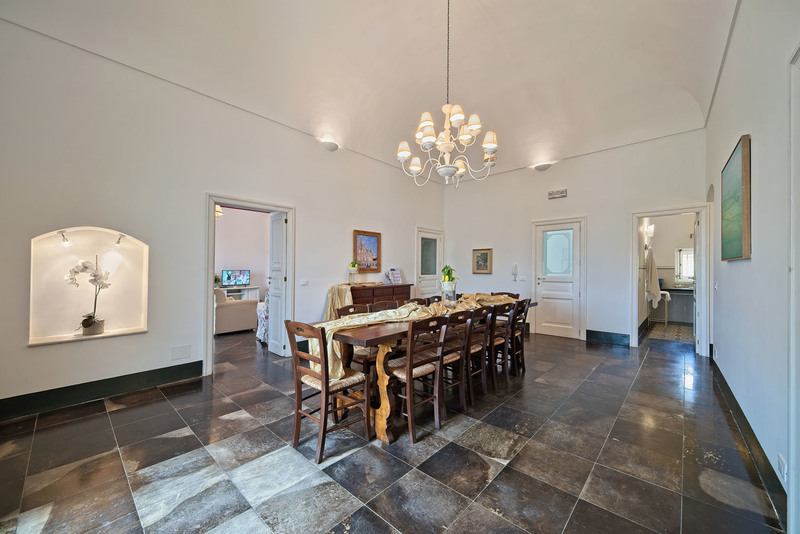 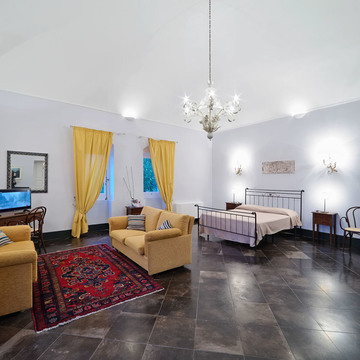 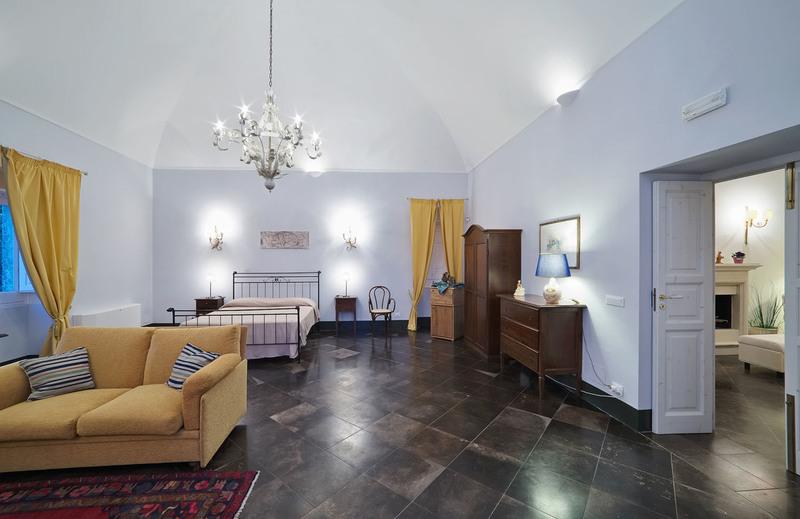 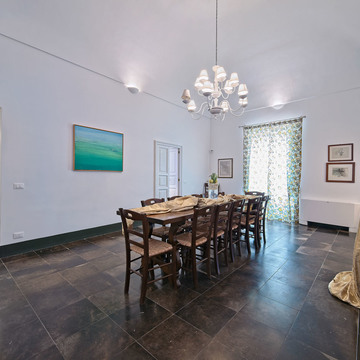 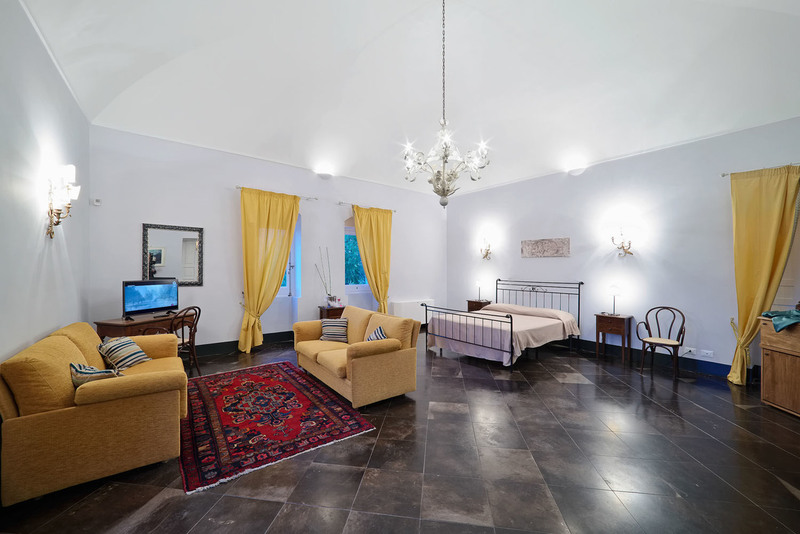 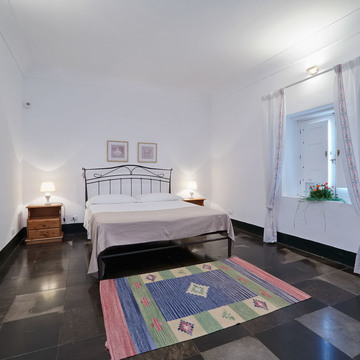 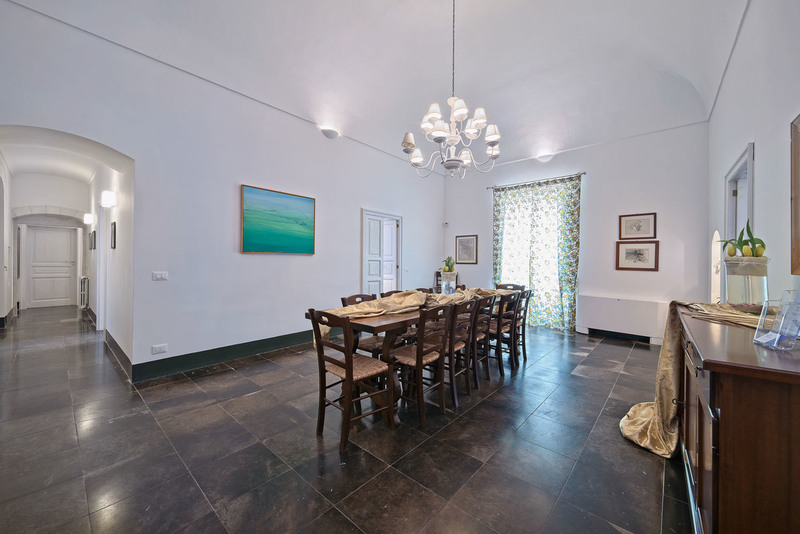 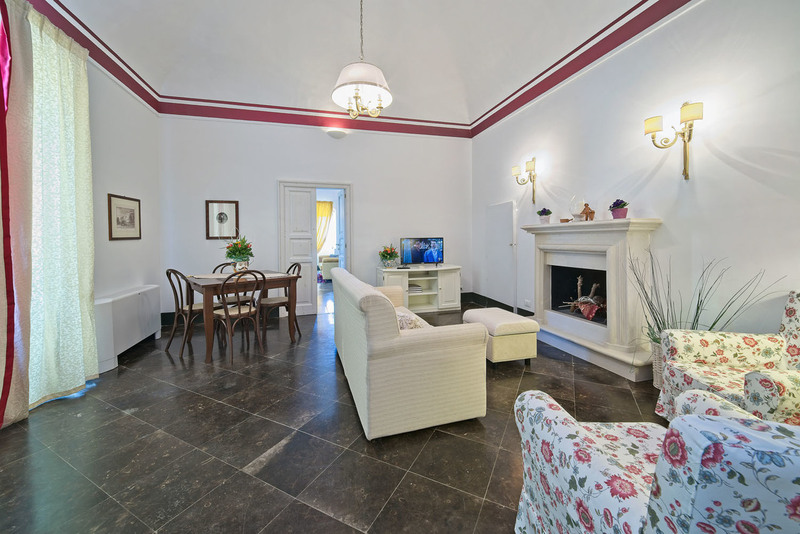 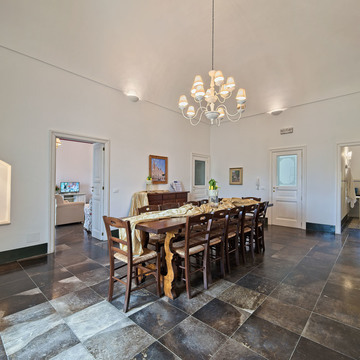 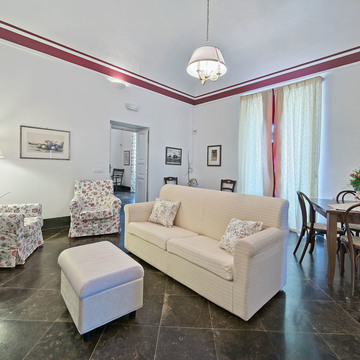 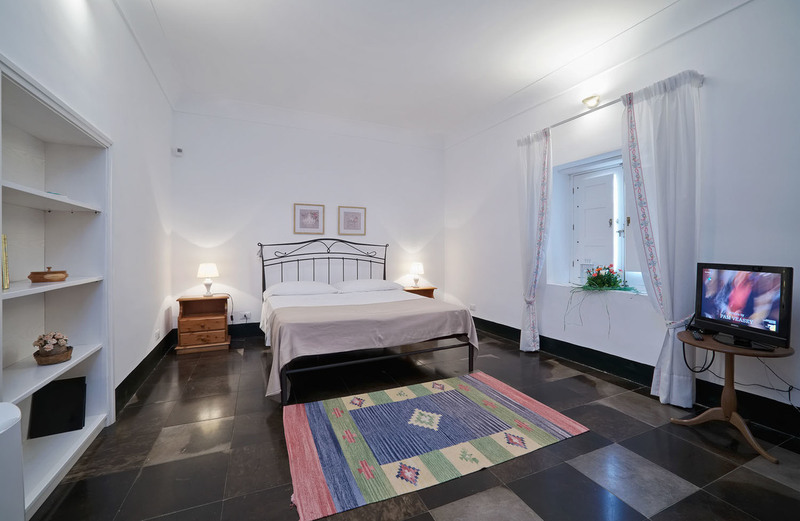 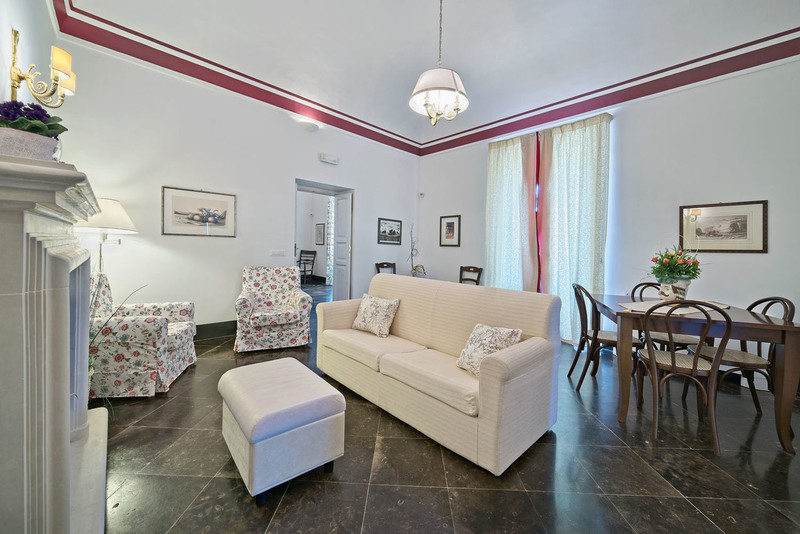 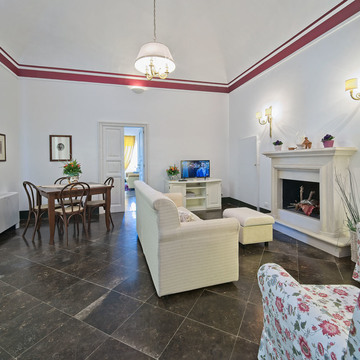 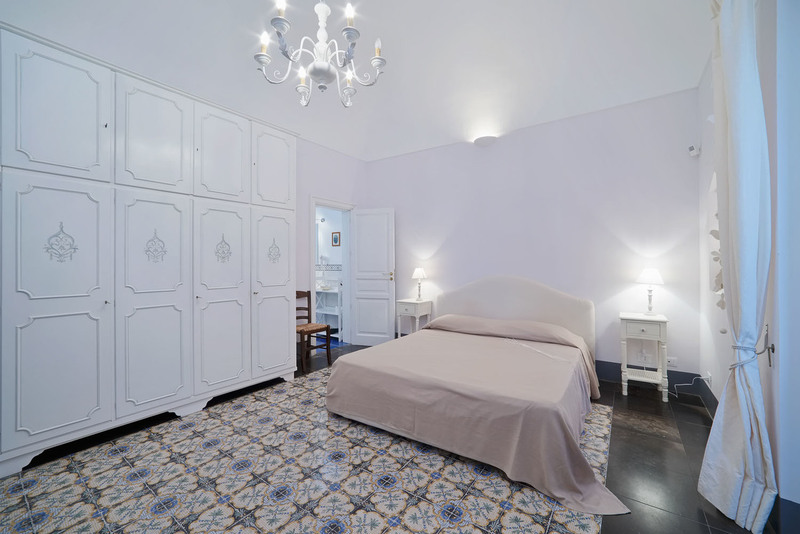 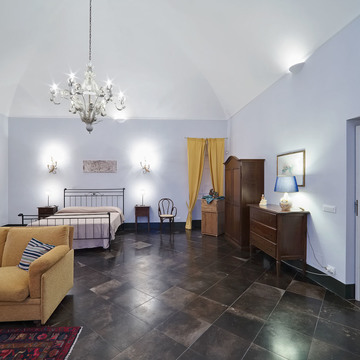 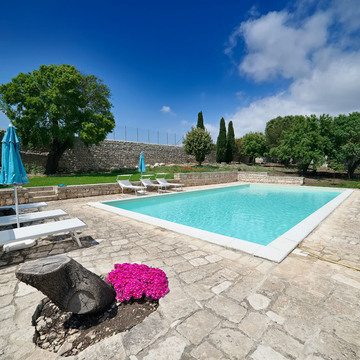 The Courtyard (“Baglio”), the Garden and the Pool are the main characteristics of this breathtakng and spacious villa. 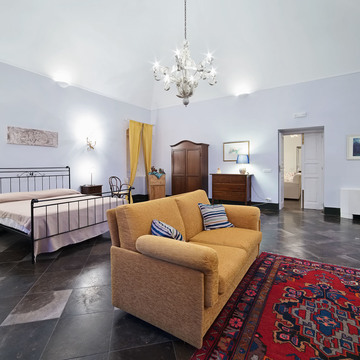 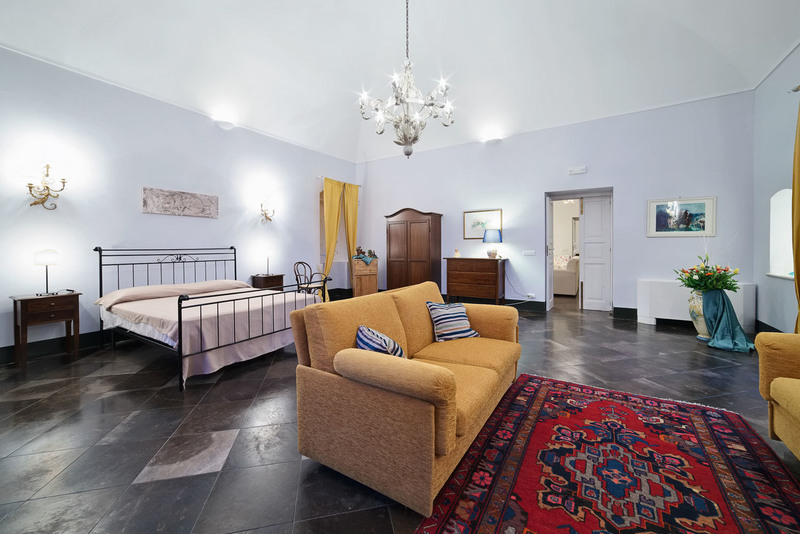 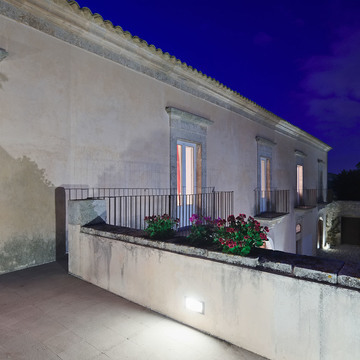 The villa, built in 1700 dominates a big valley and offers a stunning panoramic view on the sea and the countryside. 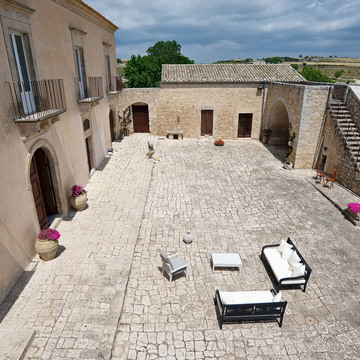 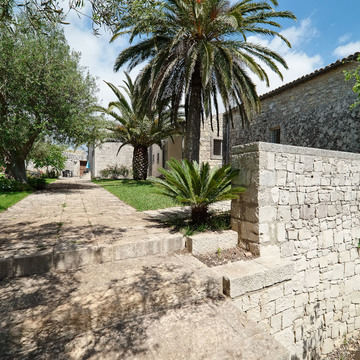 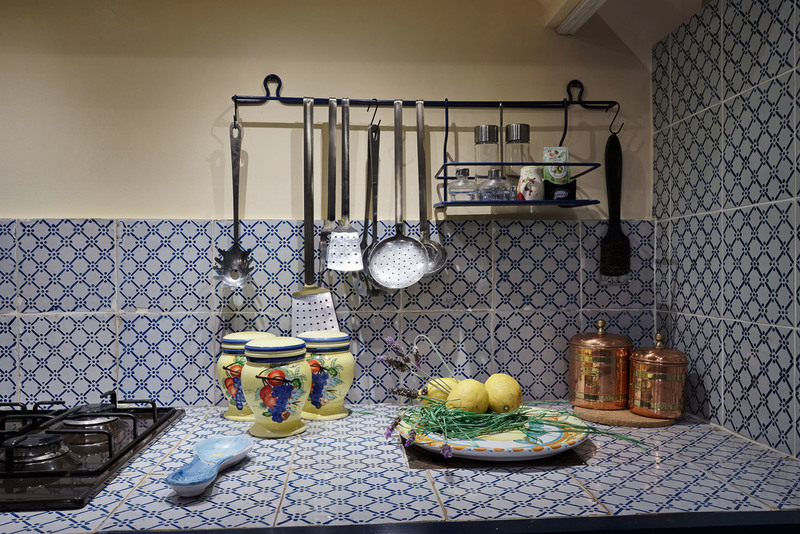 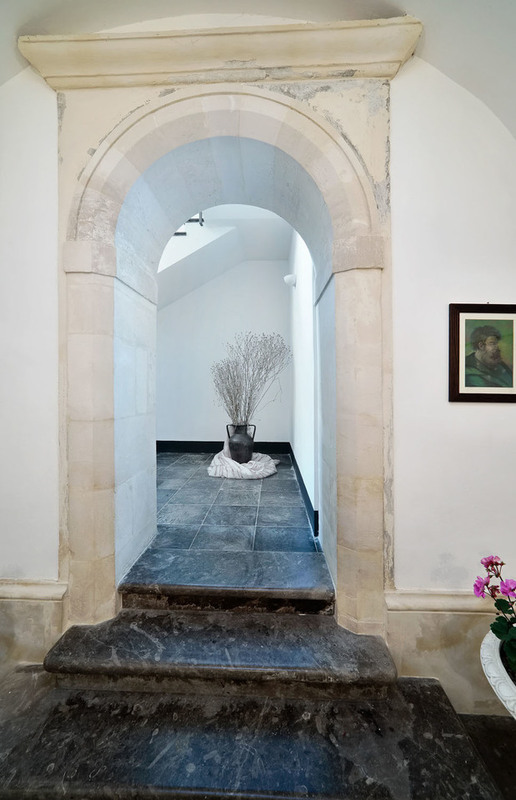 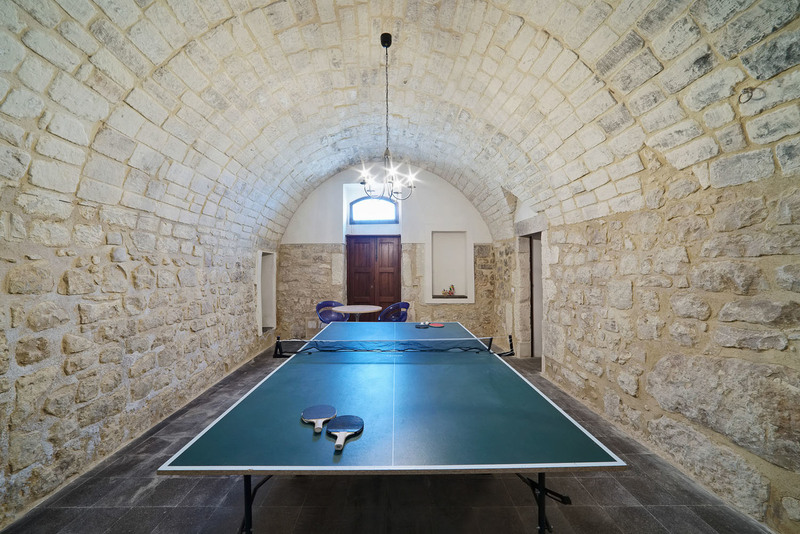 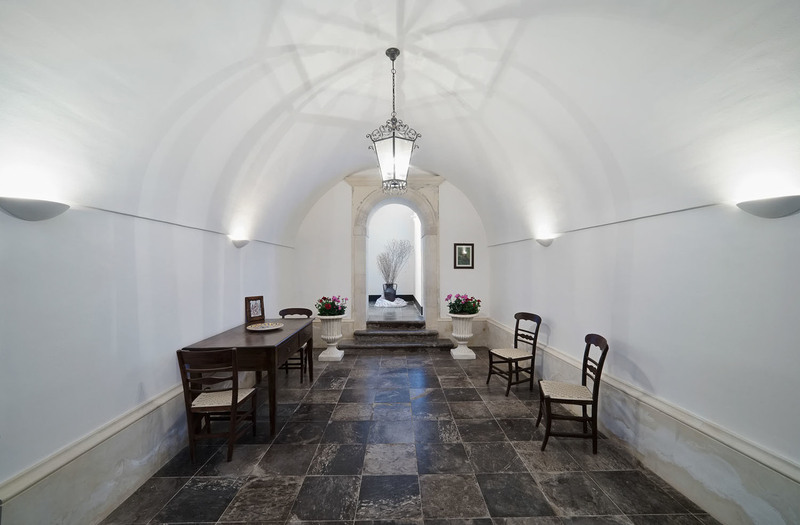 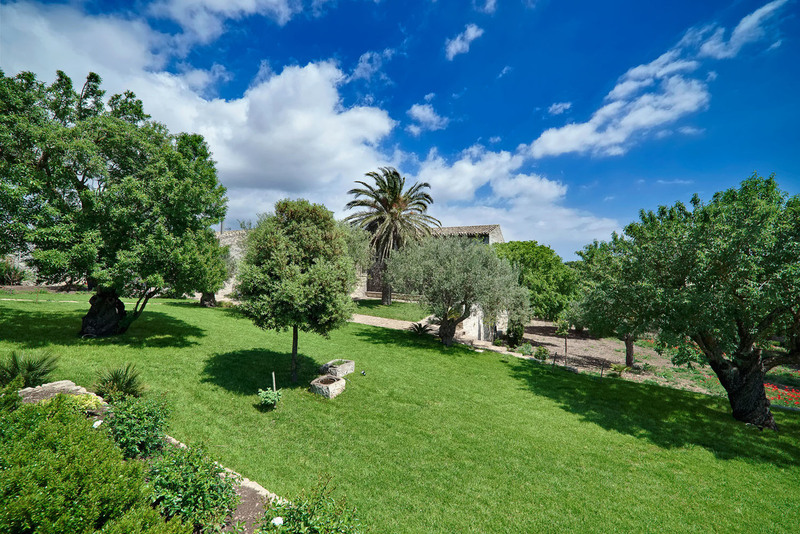 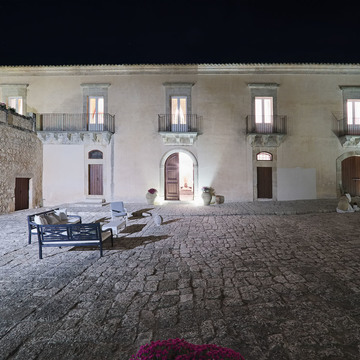 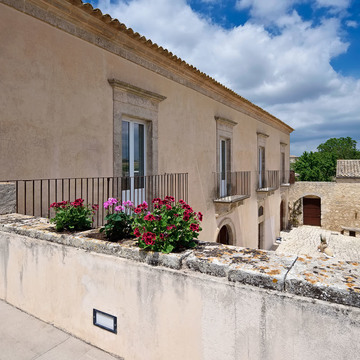 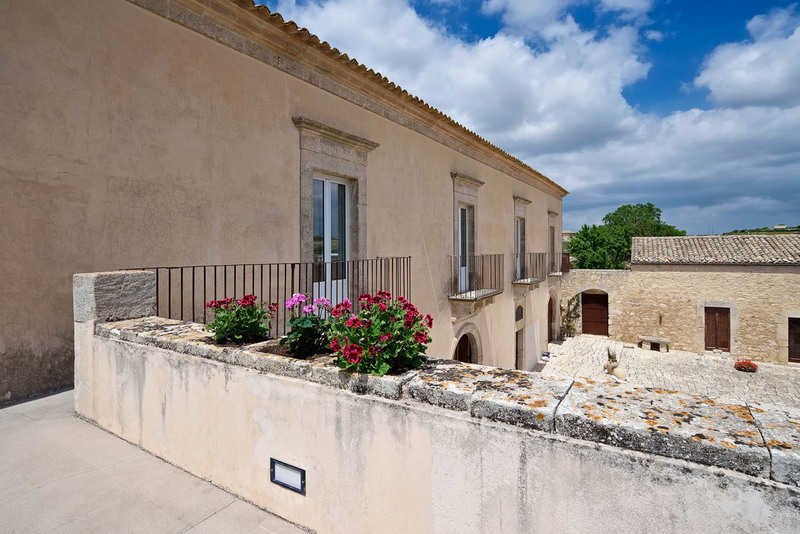 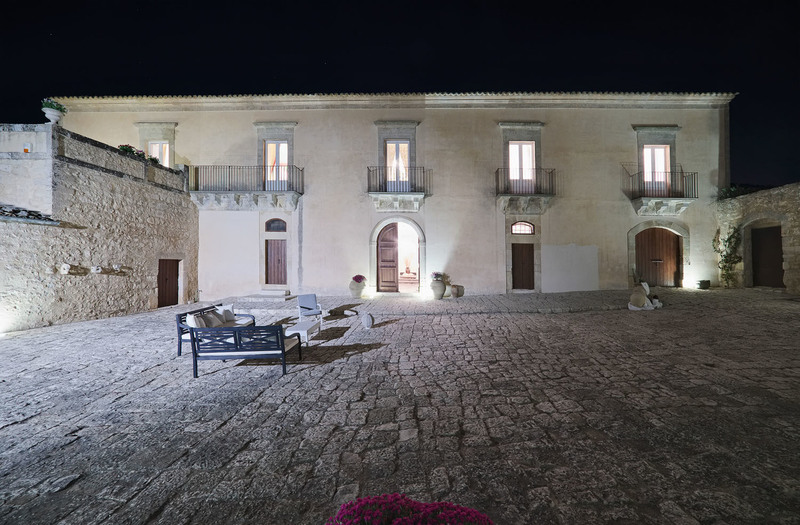 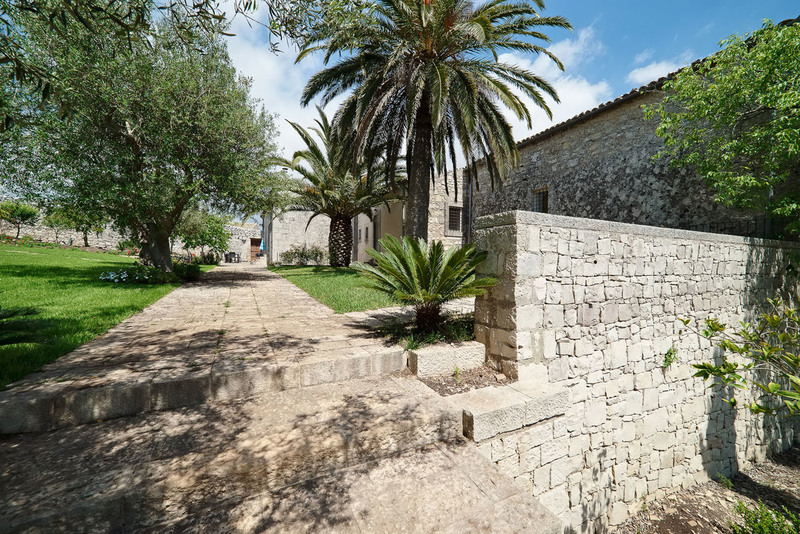 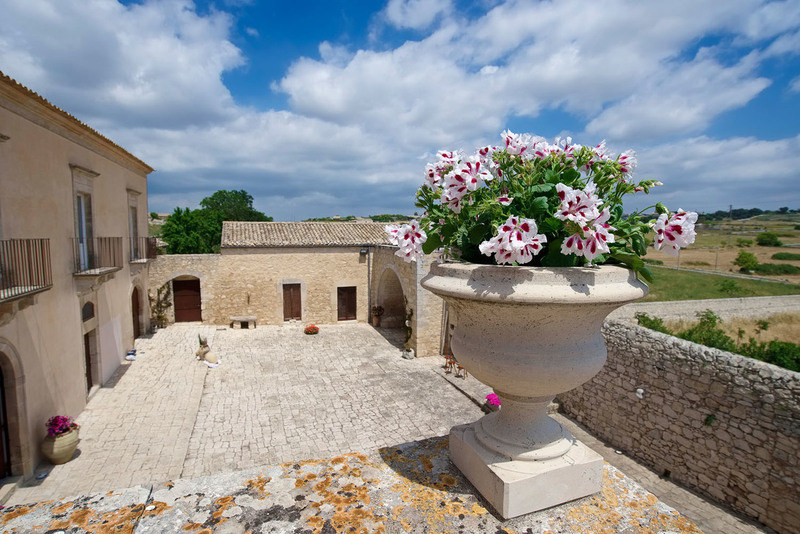 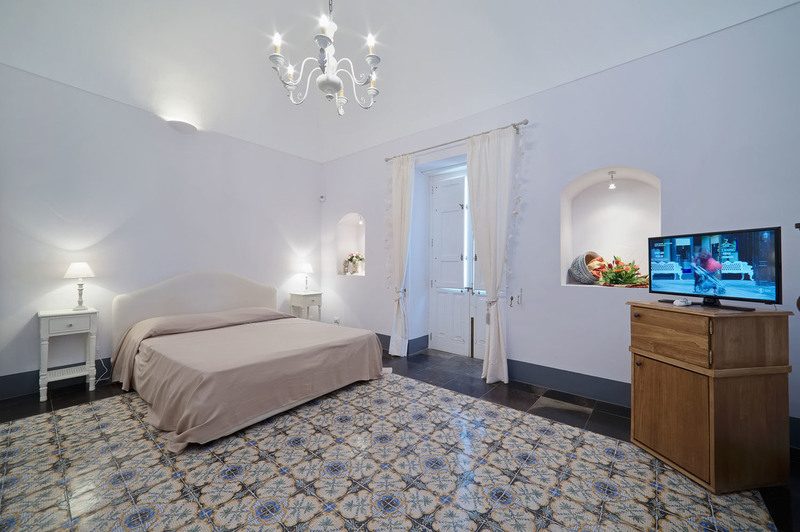 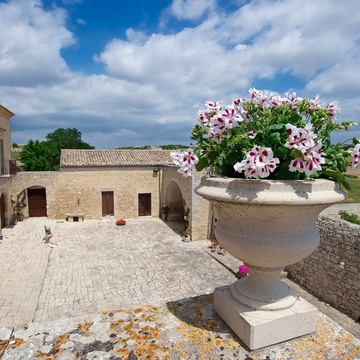 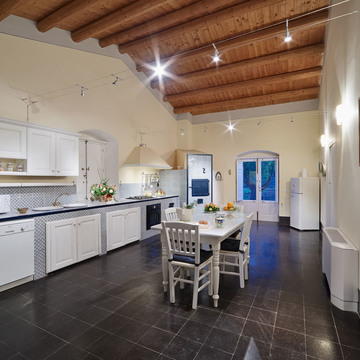 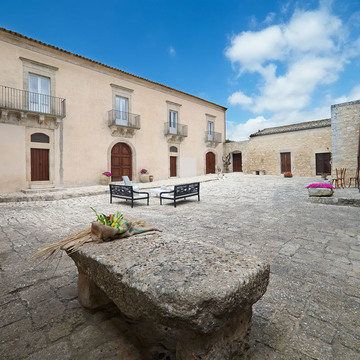 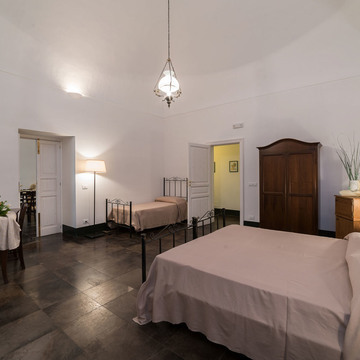 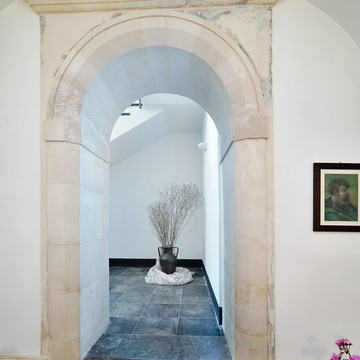 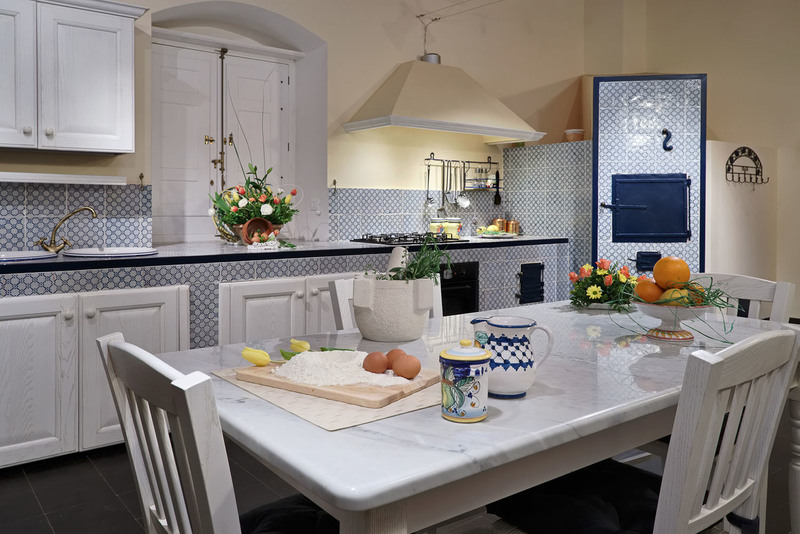 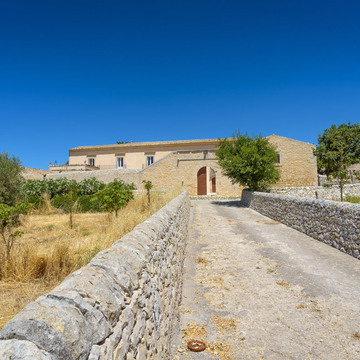 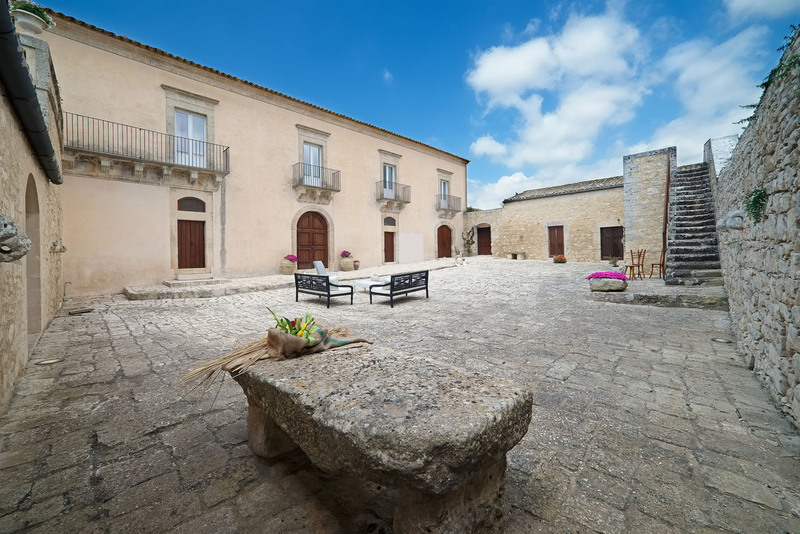 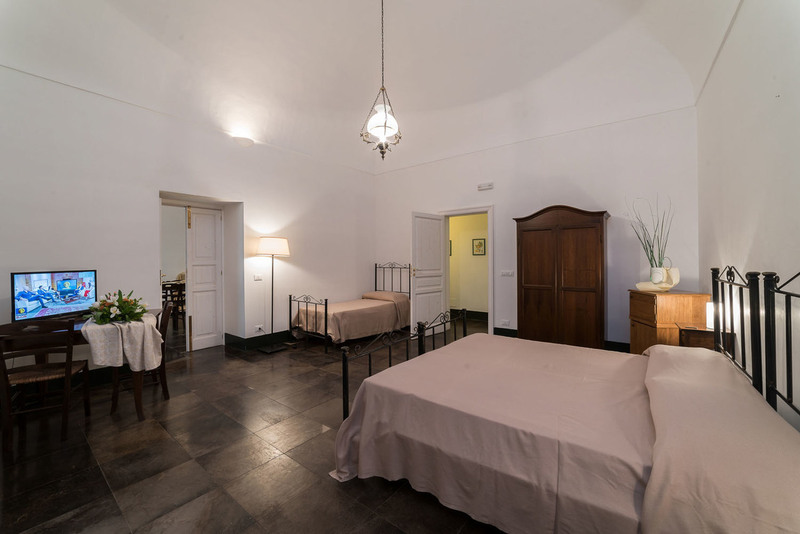 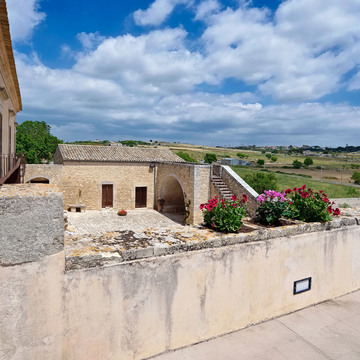 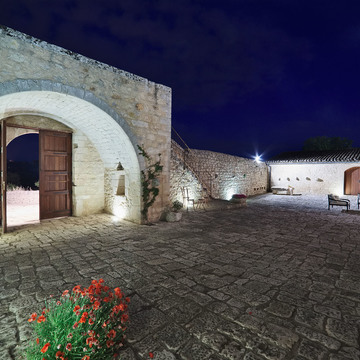 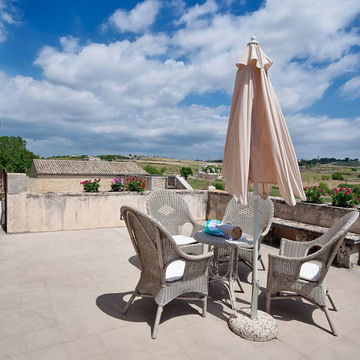 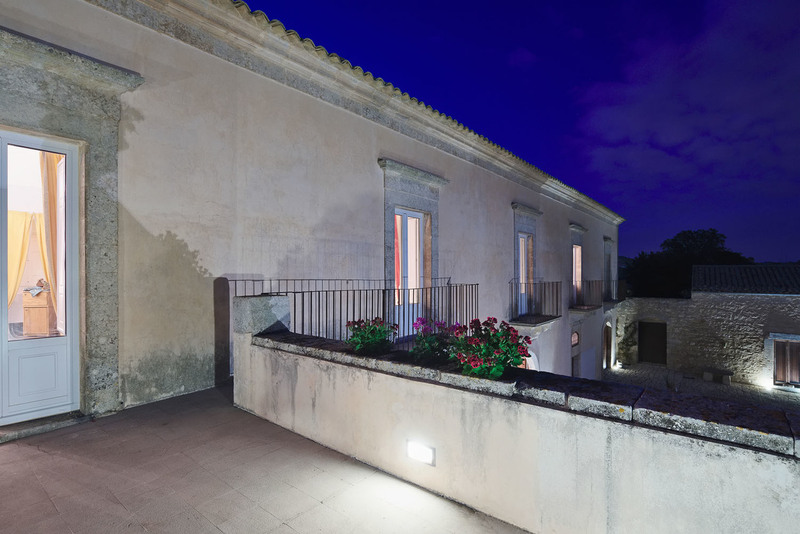 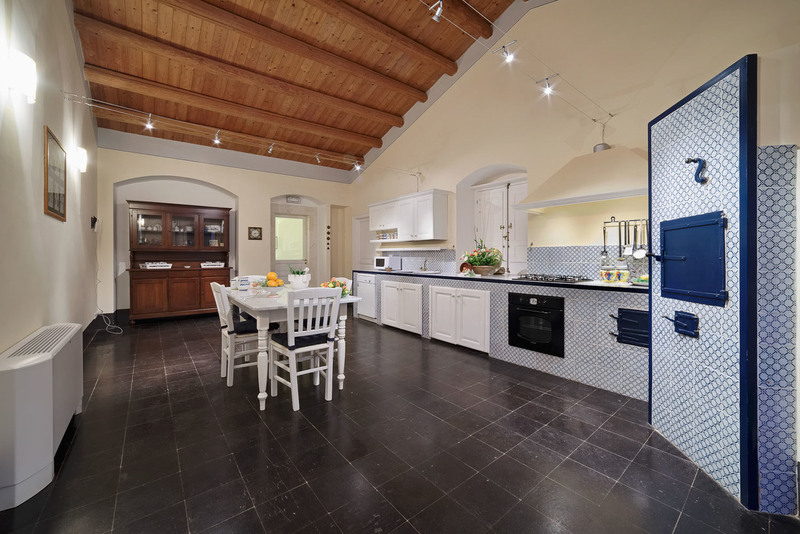 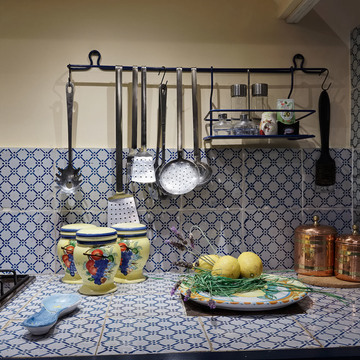 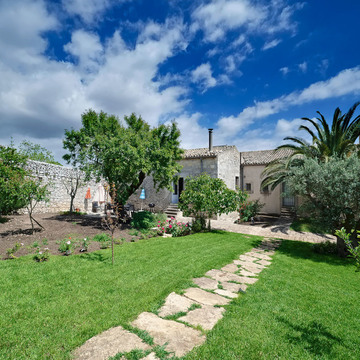 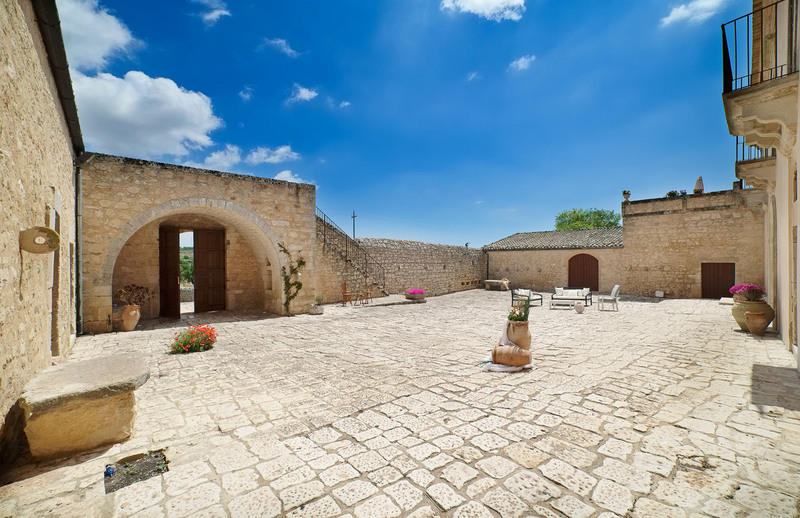 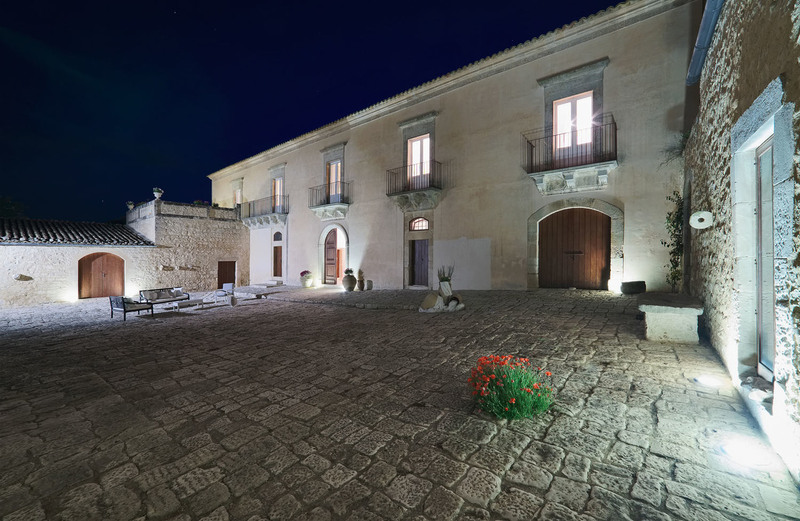 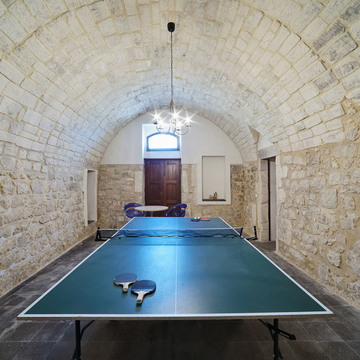 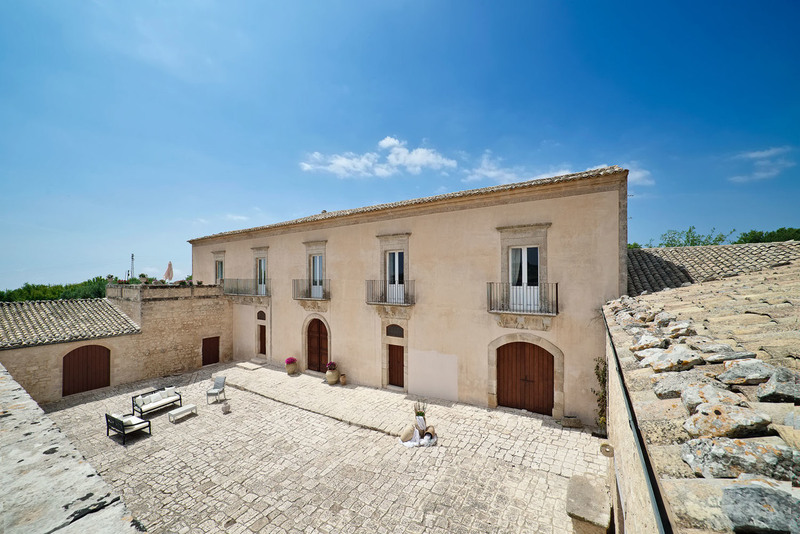 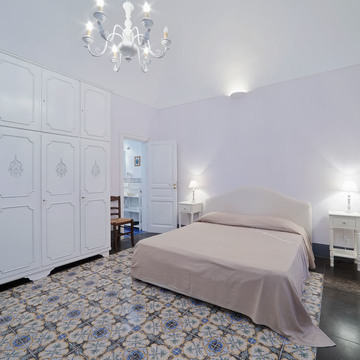 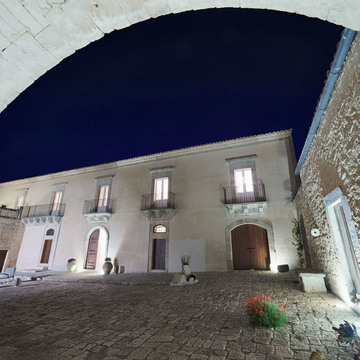 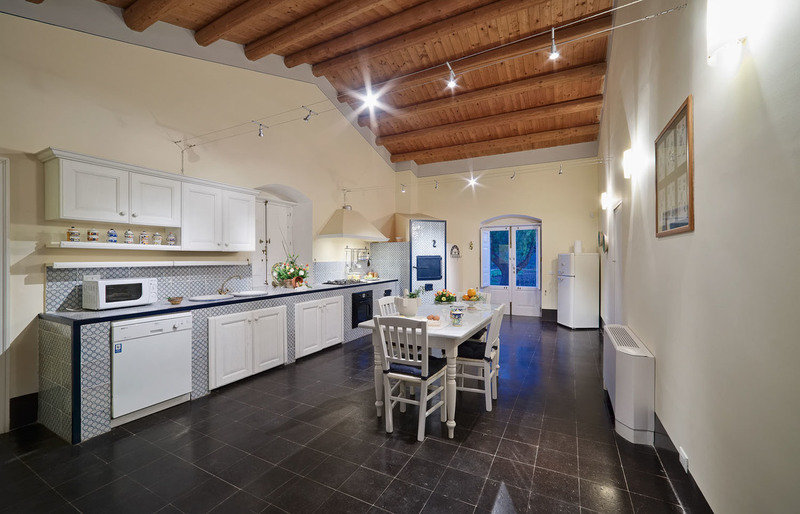 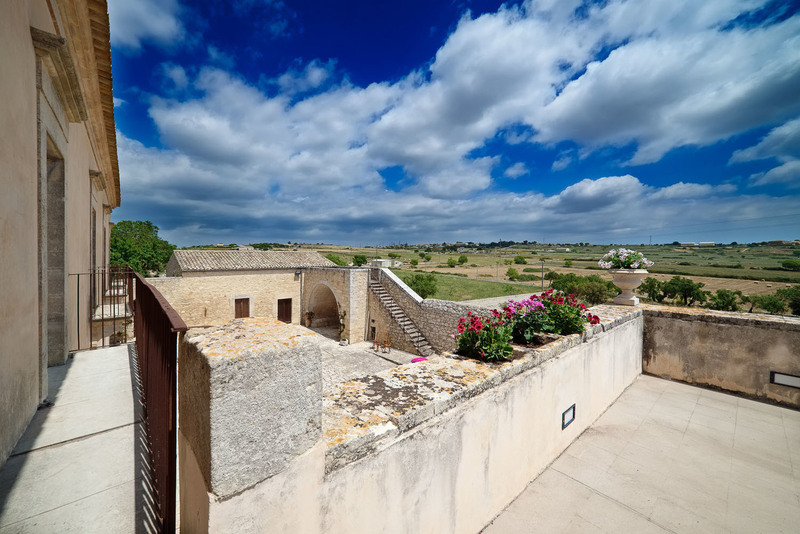 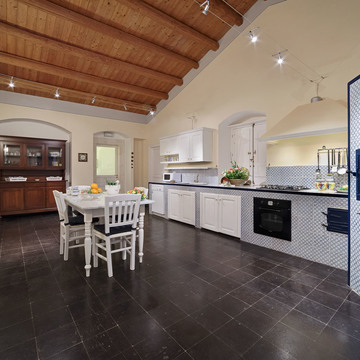 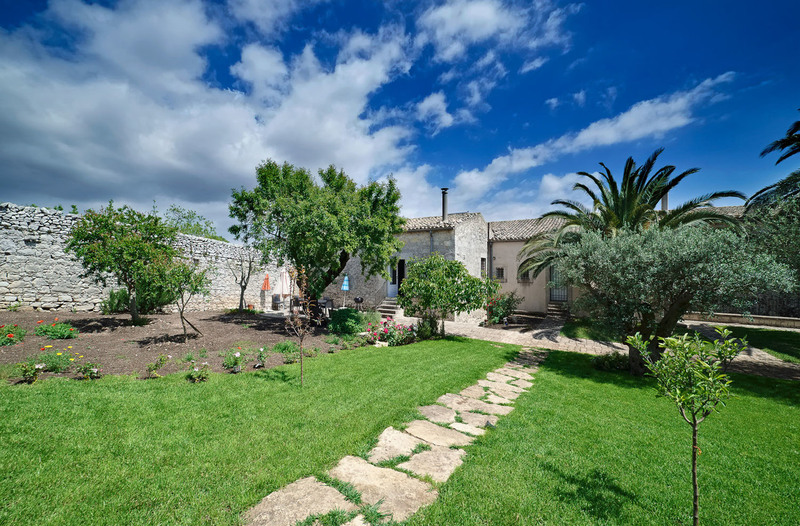 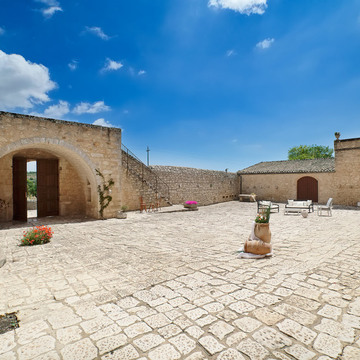 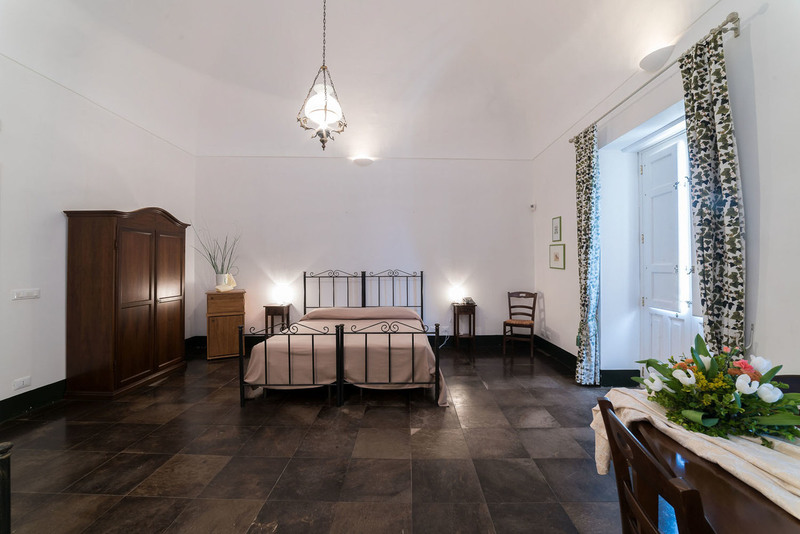 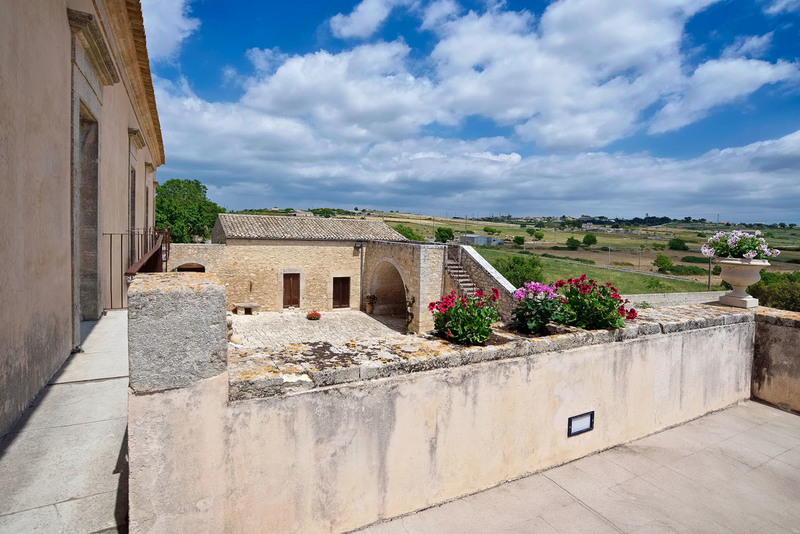 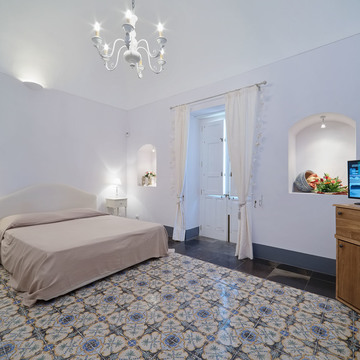 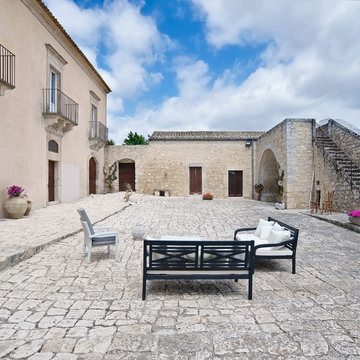 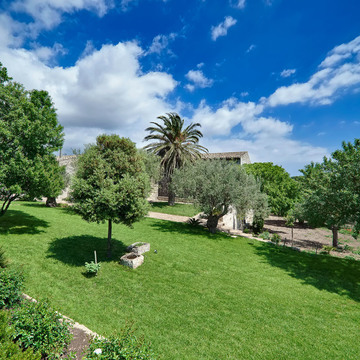 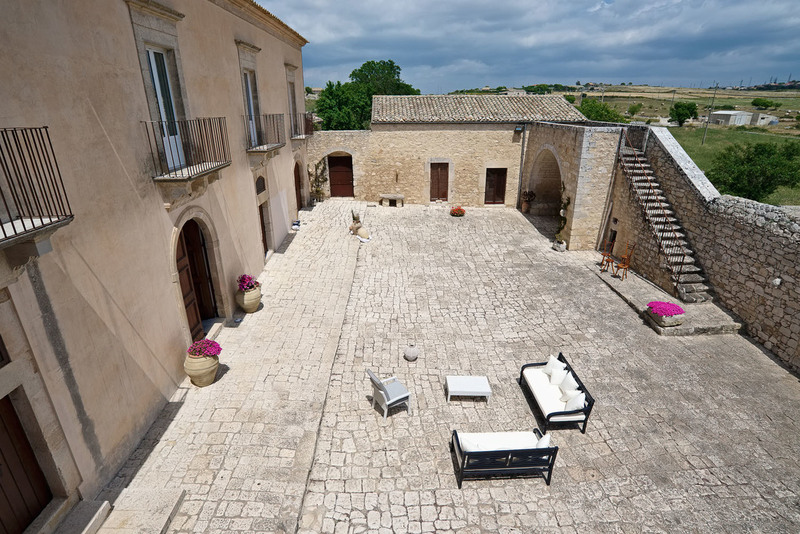 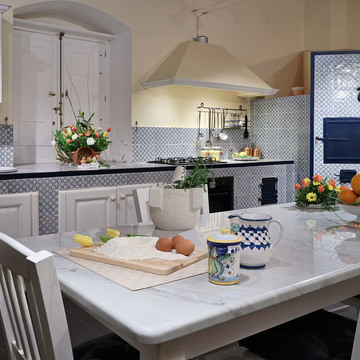 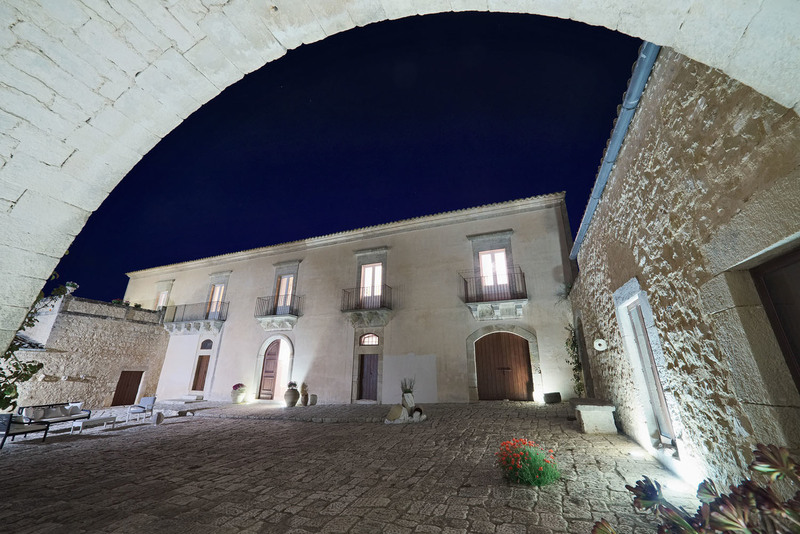 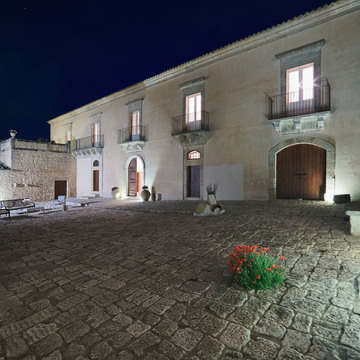 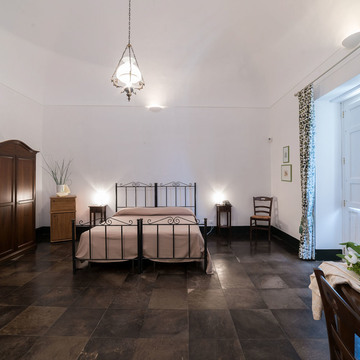 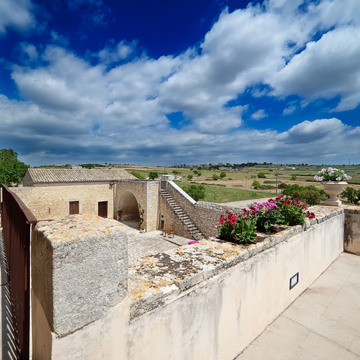 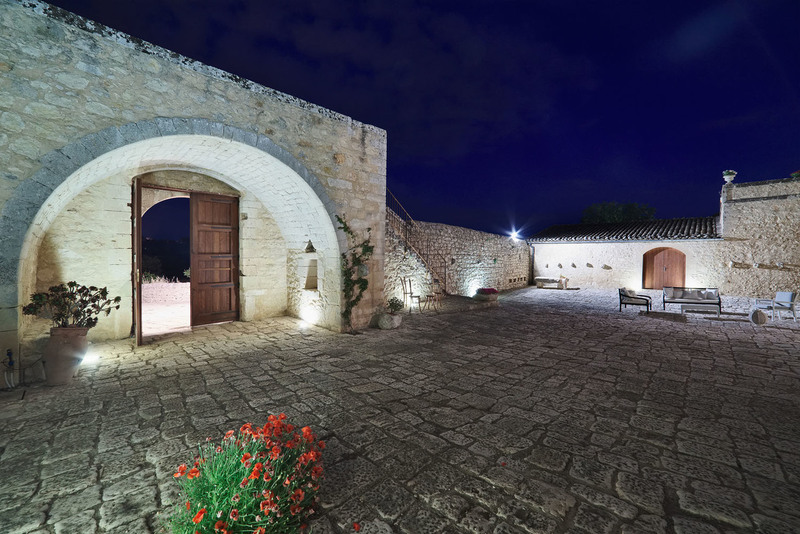 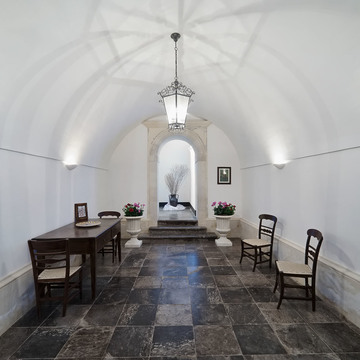 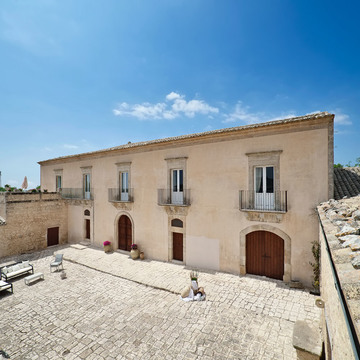 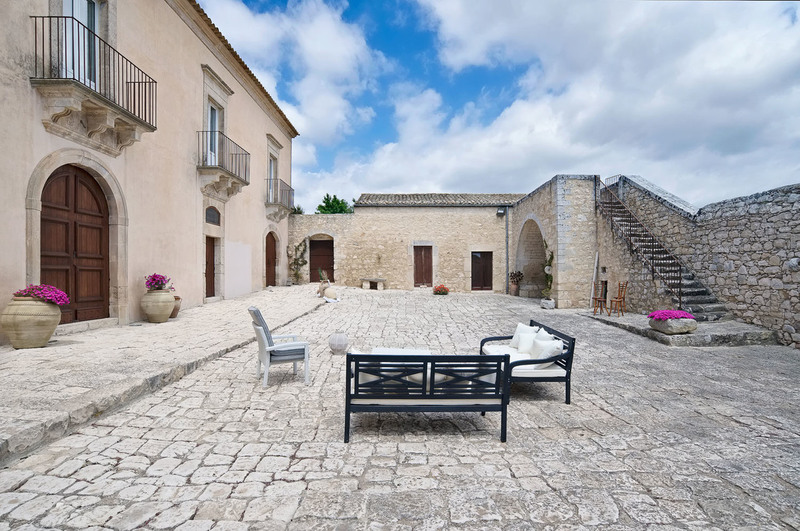 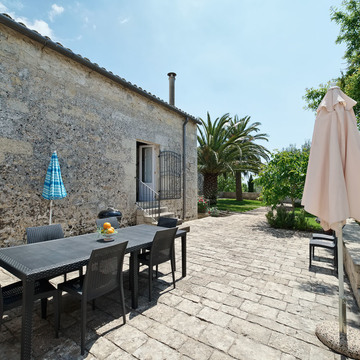 It has the typical feature of the rural farms in Ragusa: the entrance through a tree-lined street, the high walls surrounding the main building, the smart large “baglio”, that is a picturesque internal courtyard typically paved with white local stone. 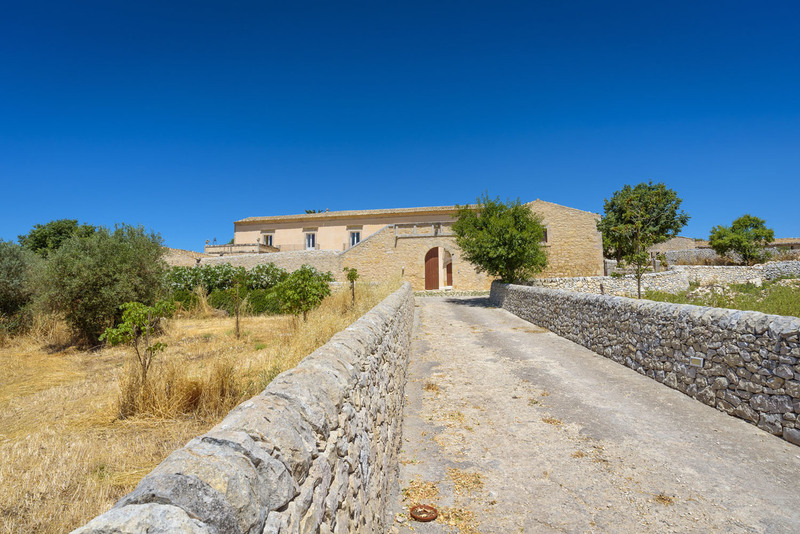 A watchtower rises from the baglio and has a nice terrace and a stunning view on the countryside and the whole property. 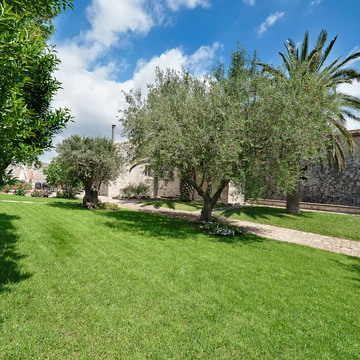 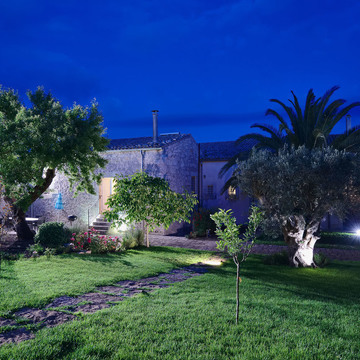 One garden (350 sqm) with olive and almond trees and palms. 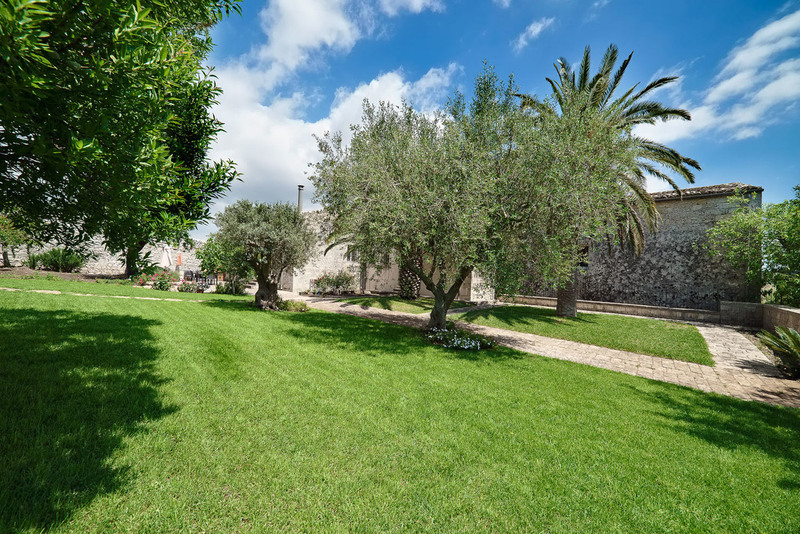 A big vegetable garden with fruit trees (figs, pomegranates), conifers, flowers and aromatic plants. 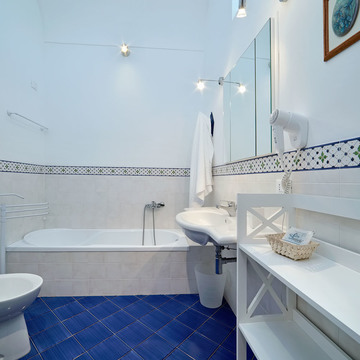 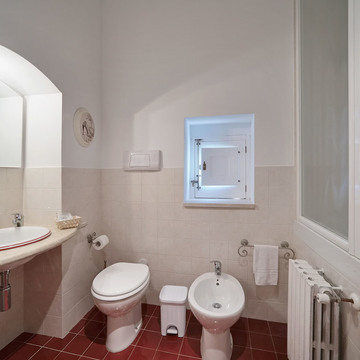 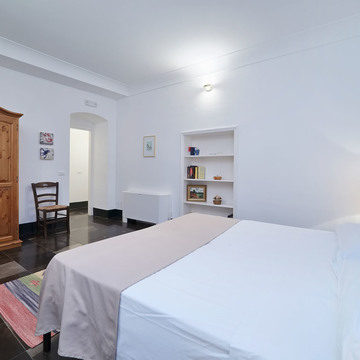 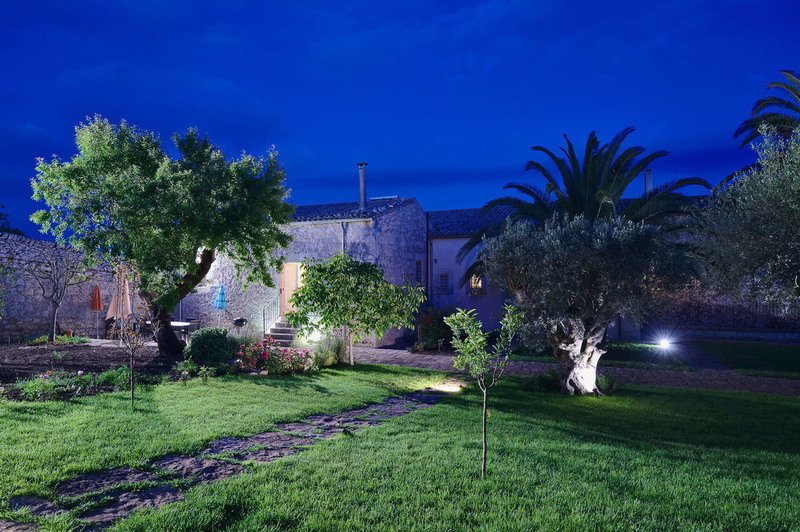 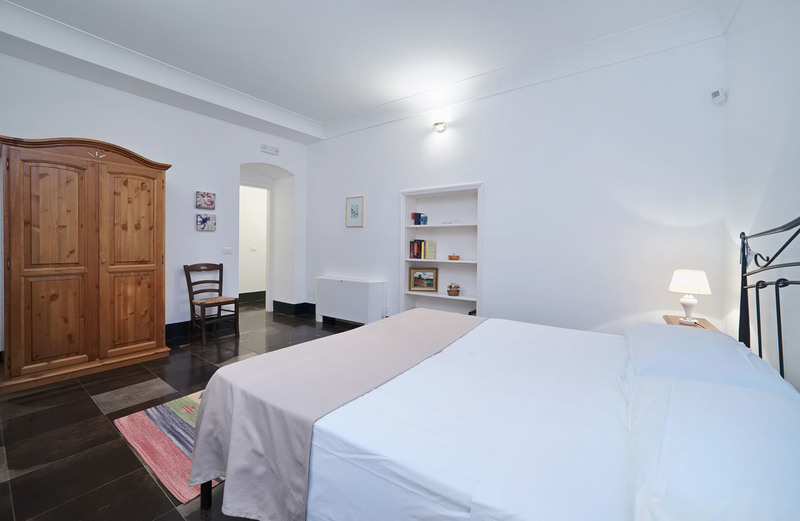 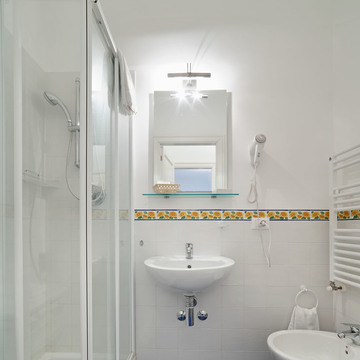 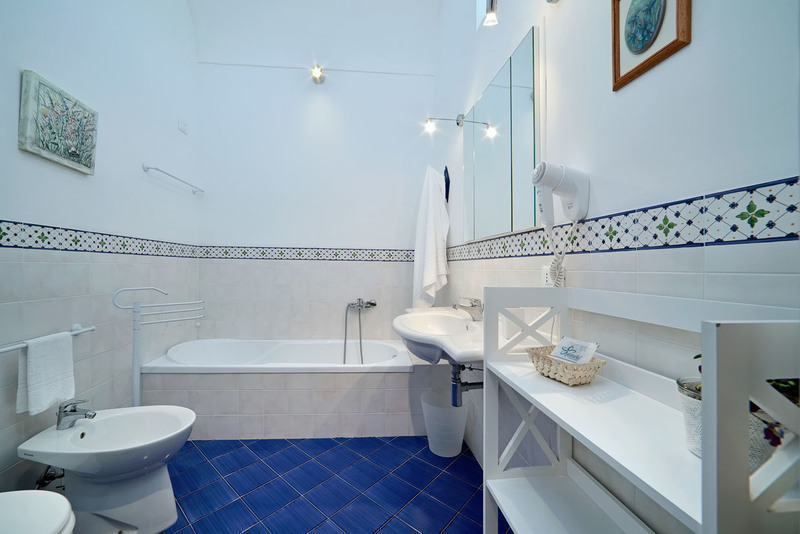 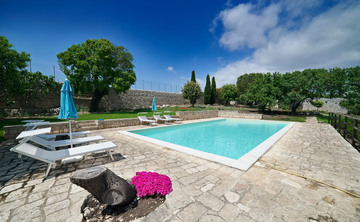 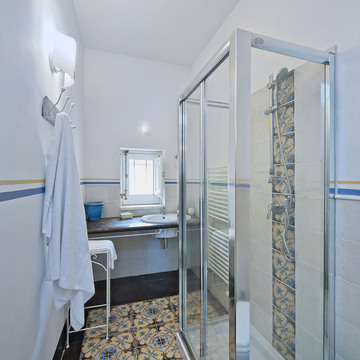 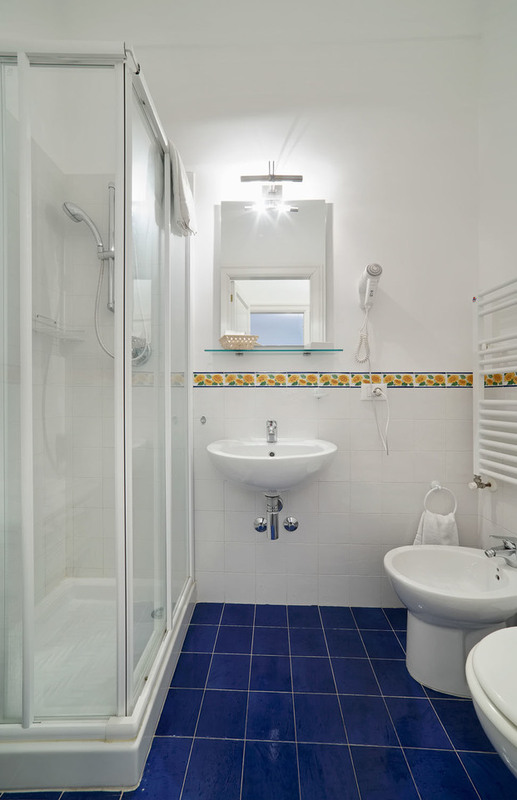 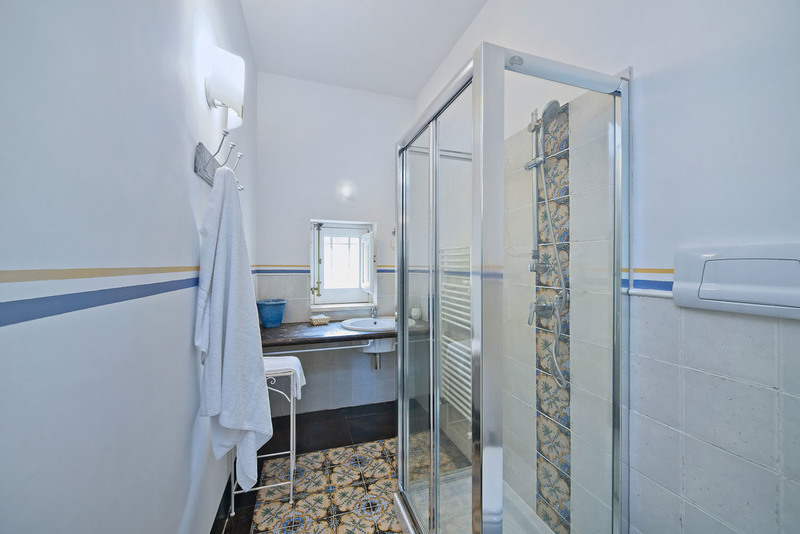 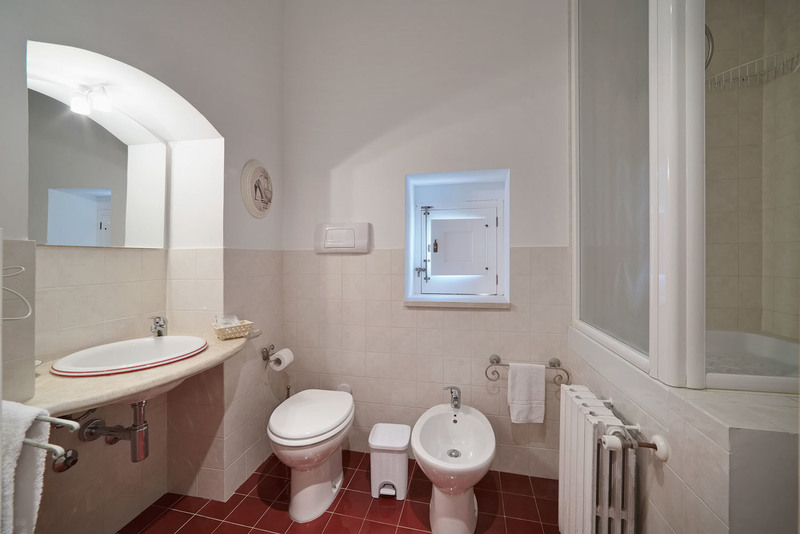 The private pool (72 sqm) is whitin a fild of olive trees and has a furnished solarium and outdoor bathroom with shower. 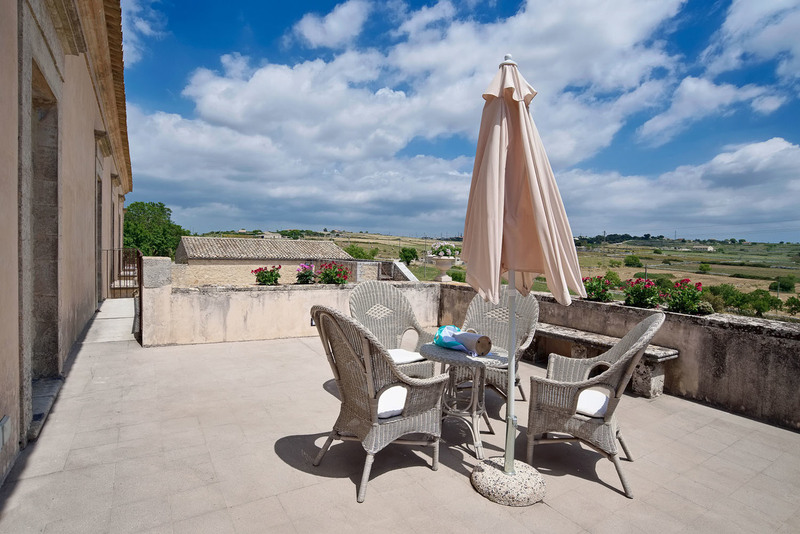 On the first floor, a terrace offers a charming panoramic view. 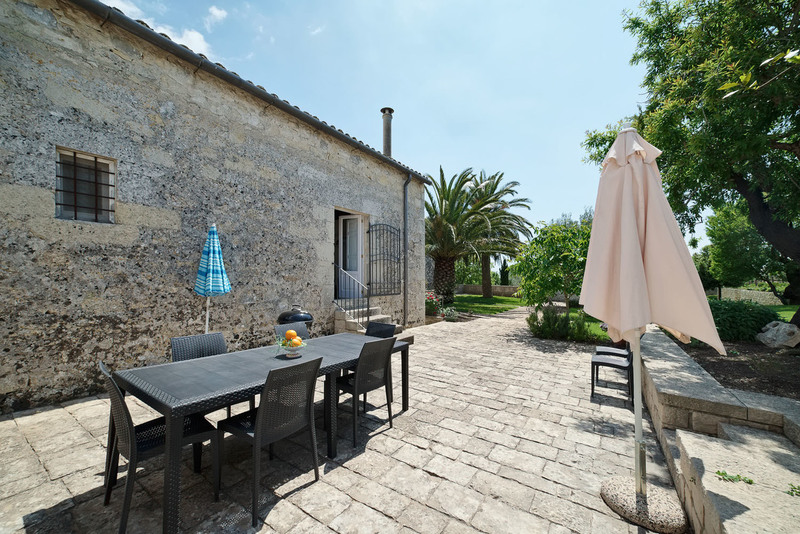 A rear terrace with table, chairs and barbecue to give the possibility to have alfresco lunch and dinner.